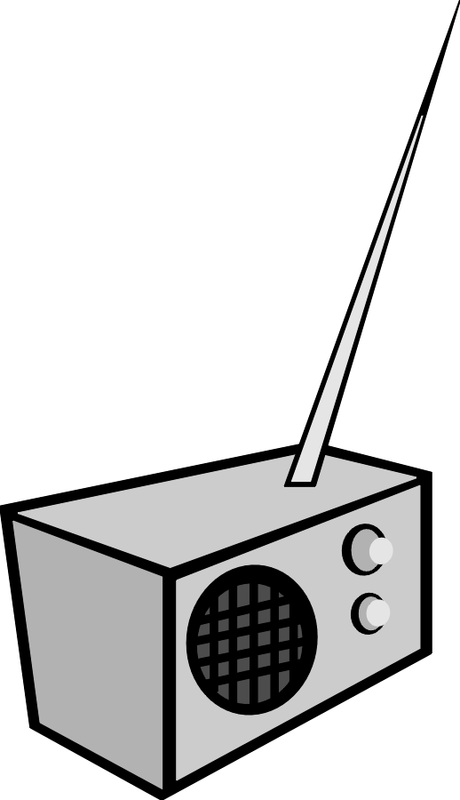 OC Inc. Posts in category: "low power radio"
Posts in category: "low power radio"
Did you miss OC Inc.'s workshop at General Synod 29? 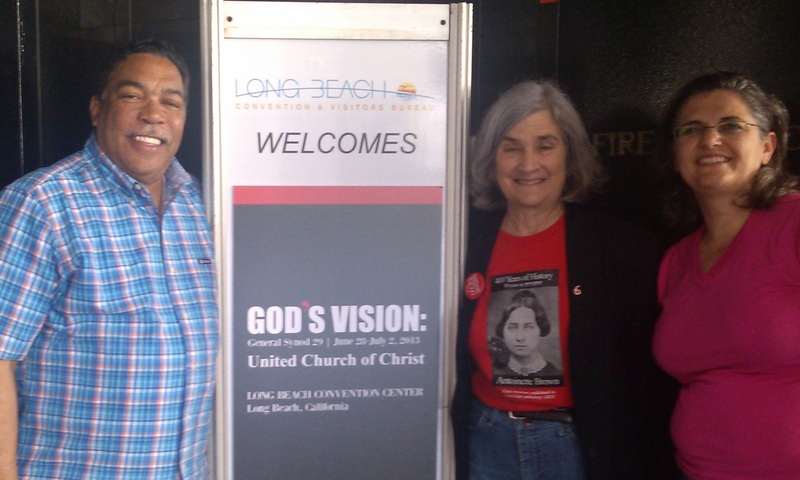 The United Church of Christ's Office of Communication, Inc. (UCC OC, Inc.) was proud to participate in the United Church of Christ’s biennial national gathering, General Synod, which was held in Long Beach, CA from June 28-Jul 1 this year. We briefed several conferences about our work (the UCC’s regional bodies), and networked with our colleagues in justice. We hosted a workshop which outlined our historic and cutting edge work in media justice and communications rights. Read the powerpoint slides from our workshop. Social justice is often about working with allies, spreading information, and bearing witness to stories that no one else hears. People of faith are known for our involvement in our communities--as a powerful force for justice, compassion and the common good. And yet, all too often, the progressive faith community is not reflected in the media. We now have a rare opportunity to take charge and change the conversation. Thanks to a recent legislative victory, nonprofits, schools, churches, and labor unions will soon have a one-time chance to apply for thousands of new FM community radio licenses nationwide. The deadline to apply for these free low-power FM radio licenses is October 2013. We have much to do before then—both to assist community groups that are already working to obtain radio licenses and to develop faith-oriented radio stations ourselves. May 22nd, 2013, at 4 pm eastern time. Join this one-hour webinar co-sponsored by the Office of Communication, Inc., the United Church of Christ’s media justice ministry, Faith in Public Life, The Leadership Conference on Civil and Human Rights, and the Prometheus Radio project. Learn more about this rare opportunity to diversify our airwaves. Today we celebrate the more than decade-long fight to bring low power radio stations to the whole country as originally envisioned by then-Chairman Bill Kennard in 1998. The United Church of Christ's media justice ministry has been one of the forefront supporters of this effort since that time, as part of our over-50 year old media justice work. Much of the technical decision made today will mean that in most of the largest markets in the country, we will have some opportunities for these small non-commercial radio stations on the FM dial. Cheryl Leanza, the policy advisor for UCC, OC Inc. said, "In every place that I have travelled around the country for the last 15 years talking about media justice, I see people's eyes light up when they imagine a local radio station filled with positive, local, unique programming that ordinary people control themselves. I congratulate the Federal Communications Commission on taking the steps needed today to lay the groundwork for applications to be filed next year." "Now is the time for anyone interested in either applying for a station, or perhaps more important, helping to support a local applicant, to study up and make connections in their own communities," continued Leanza, "UCC's media justice ministry will be reaching out to our churches early next year to be sure that our churches can connect with the Prometheus Radio Project's excellent network of applicants. Churches might have extra space to loan or lease, programming, or church buildings upon which to place radio towers. All of these will be important as we build a radio network for justice." UCC OC Inc. is particularly gratified that the Commission has announced a clear timeframe for applicants to submit their filings, this date will make planning much easier for local non-profits and churches. Leanza noted her disappointment that there wasn't a local programming obligation in the FCC decision, "many local clergy and religious individuals petitioned the FCC asking for a local programming requirement. We are happy that applicants offering local programming will be preferred, but that preference is not the same as an obligation to offer some locally-created content." The faith community as a whole has been extremely supportive of the expansion of low power radio throughout the extended effort it took to pass the Local Community Radio Act. The UCC has a number of resources about the importance of low power radio, including its documentary The People's Voice, available on vimeo. The UCC sponsored the Microradio Implementation Project in the early days of low power radio to support applicants. Seventy clergy joined with almost 250 people of faith last night to ask the Federal Communications Commission to ensure that the new low power radio stations granted licenses in the near future will transmit a minimum of locally-originated programming. The request came as the Federal Communications Commission completes its final rules to implement the Local Community Radio Act of 2010. The United Church of Christ and many members of the faith community were a strong constituency supporting passage of the Local Community Radio Act. That legislation will bring new low power community radio stations to thousands of communities in the next few years. The letter stated, "We are dismayed that some low power radio stations could get a precious license and not carry any locally-originated programming." The Federal Communications Commission is expected to finish its rules this year, and to accept applications for low power radio stations in the summer of 2013. The United Church of Christ's media justice arm celebrated the culmination of ten years of policy advocacy today in anticipation that the President will soon sign the Local Community Radio Act of 2010 into law. To reach this point, UCC OC Inc. joined with the Prometheus Radio Project in leading the effort with Congressional champions, other members of the faith community, the civil rights community, media democracy grassroots advocates and the music community to secure a pivotal victory in the effort to expand the diversity of views and voices on American radio. Andrea Cano, OC Inc.'s board chair and former director of UCC's Microradio Implementation Project said, "After the UCC's ten-year campaign to be sure that ordinary Americans have an opportunity to control their own media outlets, I cannot contain my joy that this bill has become law. My personal experience with this service shows that these radio stations can have a transformative impact on small non-profit organizations that are otherwise not visible in today's media environment." The Local Community Radio Act passed the House of Representatives and Senate over the weekend, thanks to the bipartisan leadership of Representatives Mike Doyle (D-Penn.) and Lee Terry (R-Neb.) and Senators Maria Cantwell (D-Wash.) and John McCain (R-Ariz.). The media reform community joined with the civil rights community and the faith community in an unprecedented effort on a media reform issue. In particular, Earl Williams of the UCC OC Inc. Board extended his gratitude to the Leadership Conference on Civil and Human Rights for their help over the years, "The Leadership Conference's report on low power radio was instrumental in demonstrating the importance of low power radio to communities of color," he said. Cheryl Leanza, UCC OC Inc.'s policy director highlighted the faith community's tremendous and unwavering support for the bill, "we were gratified that so many members of the faith community have supported this bill for so long—from the National Council of Churches to the National Association of Evangelicals to The United Methodists, everyone stepped up to the plate. We are particularly pleased that we were able to work so closely on a staff level with the U.S. Catholic Conference so closely on this issue." Leanza continued, "the sheer number of groups over the years who have supported this bill is staggering – not only organizations specializing in media issues like Media Access Project, the Future of Music Coalition, Free Press and the Media and Democracy Coalition, but also large national organizations like US PIRG, the National Organization of Women and the Communication Workers of America—everyone has done their part." After implementation at the Federal Communications Commission, this bill will allow the hundreds of communities waiting for this opportunity to build and operate radio stations around the country, laying the foundations for a new generation of local, community media institutions. Ms. Cano reminded all the supporters of the new opportunity ahead, "don't forget, passing this bill means that local community groups around the country now have a chance to control their own radio station—the time is now to start thinking about how you can make use of this victory."